To remove flows from your dashboard, you have the option to either archive or delete them. Archiving a flow is the first step to deleting it entirely. Doing so will unpublish the flow (if it is live), remove it from your dashboard, and place it in the "Archived" status. Deleting a flow will remove it permanently from your account. 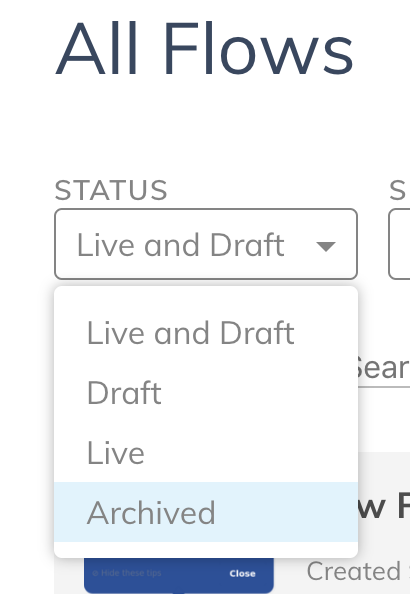 Click the menu control in the top righthand corner of the flow card and select "Archive" from the dropdown that appears. Click the menu in the top righthand corner of the flow card and select "Restore" from the dropdown that appears.